A 110 page eBook for iPads available at Apple's iBookstore for $2.99. 4 -- to encourage speculation about the future of our two-party system in 2032. The Internet survey was designed for readers of the eBook to apply what they learned about the parties' responses to social change over the last sixty years by imagining the nature of the party system in 2032. That year is only twenty years after the 2012 presidential election, which is just half the period since 1952. Because the PartyPolitics2032 survey is a public survey, others are free to register their predictions about the shape of party politics in 2032 and the reasons underlying their predictions. All opinions will be automatically tallied and publicly available. The Internet survey can be taken only once on the same computer, so you should know in advance what it is like. To prepare yourself, look over the survey questions. Each question offers multiple choice alternatives with space for justifing your answer. Unless you decide to expand on your answers, the survey should take only about five minutes. Let us define a two-party system as one in which two major parties alternate in control of the presidency, the Senate, or the House of Representatives--winning at least one of these institutions at least a third of the time over the next three decades. The first set of questions asks about the two-party system. 1. Will electoral politics in 2032 still be structured under a two-party system? 2. If you think we will have a two-party system, which will be its major parties? 3. If you are uncertain that we will have a two-party system (or certain that we will not), what might replace it? As reported inThe Social Bases of Political Parties, more respondents identified themselves as Democrats than as Republicans in every presidential year survey from 1952 to 2012. 4. Over the next 20 years, what will happen to the Democratic Party? 5. Over the next 20 years, what will happen to the Republican Party? The Social Bases of Political Parties also reported that in the 1950s, more citizens said they were liberal than conservative. Since the late 1960s, however, more regularly described themselves as conservatives. 6. Do you think that the public's ideological preferences will change again by 2032? 7. Do you think that the parties themselves will change ideologically? To take the quiz, go to PartyPolitics2032Survey. You will see all the survey responses when done. 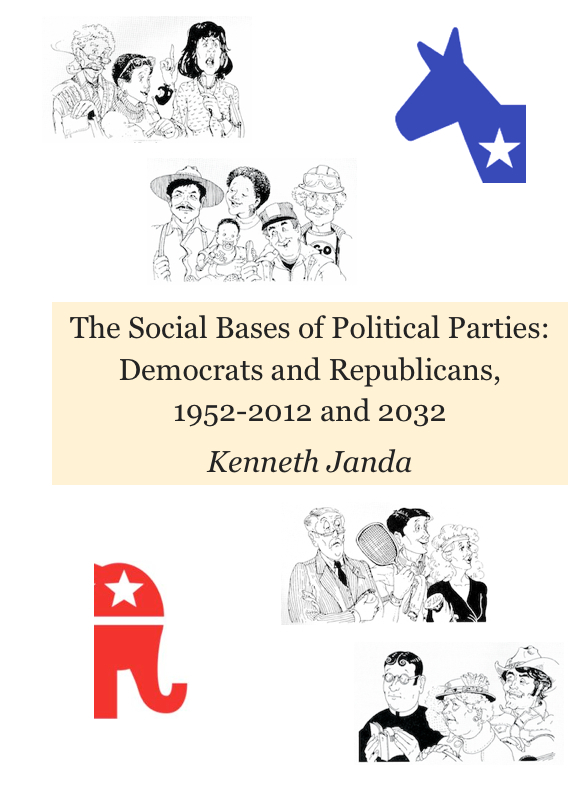 The Social Bases of Political Parties was available for sale in early March, 2013. It will take some time for responses to build and become meaningful.